Intercon Slat Back Barstool Cambridge INCBBSN260 (Set of 2). 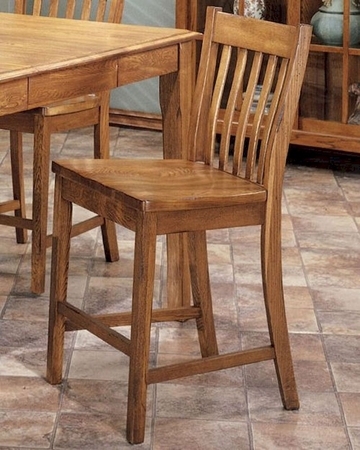 The Cambridge Slat Back Barstools From Intercon Is Made From Solid Oak And Finished In Honey Rustic Oak. 2 x Slat Back Barstool IN-CB-BS-N260-RUS-K24. Slat Back Barstool - 20.5"W x 17.5"D x 41"H.
Barstool seat height - 24". Ergonomically designed chairs for comfort and support. Steam bent solid oak slats on chair backs.